How well do you know yourself? If asked, would you feel confident in listing your five personality strengths and shortcomings? Would you describe yourself as an extrovert or an introvert? Is it possible to be both? How about judgmental? Critical? Anxious? And, while I’m asking the questions: what does this have to do with flight safety? Personality is very much a factor in flight safety. 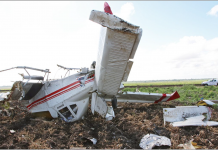 It’s part of what aviation calls human factors—studies exploring the links between human fallibility and aircraft accidents. 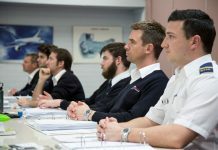 Anecdotally, I have observed that the human factors exam is almost universally loathed by student pilots; it is considered non-technical, not practical, and more ‘airy-fairy’ than flight-related exams, such as aircraft general knowledge or aerodynamics. Why should this attitude be so common? If you need to know the essential characteristics of your aircraft, why not know the characteristics of yourself and your crew? Remember, the majority of accidents are attributable, at least in part, to human factors shortcomings? The idea that personality is as quantifiable as meteorology, that is to say not an exact predictive science but something important to know about for safety’s sake, has been slow to develop in the aviation industry. ICAO introduced the topic of human factors into training and assessment in the late 1980s with the introduction of 227-AN/136 ‘Training of operational personnel in human factors’. 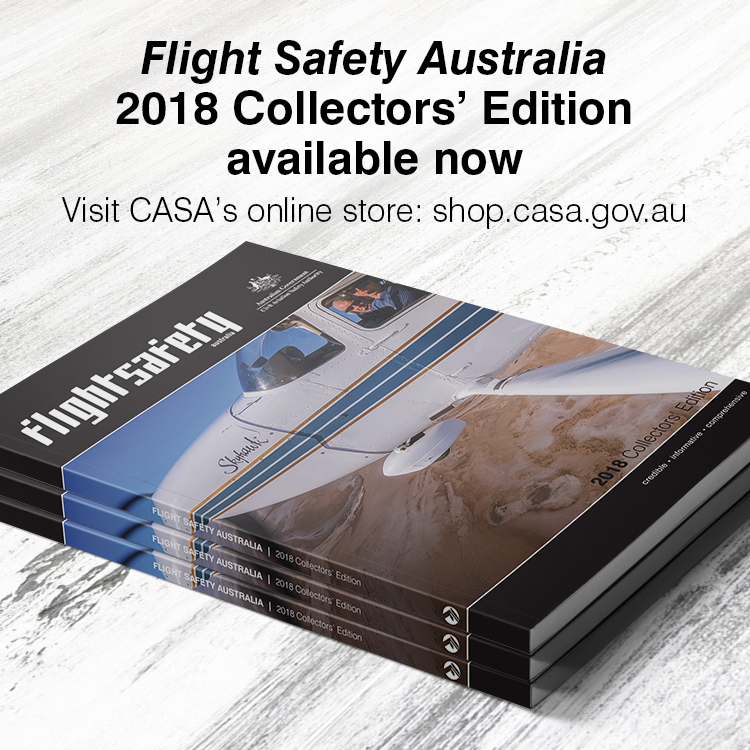 General aviation absorbed human factors into its syllabus in the 90s, with threat and error management (TEM) added to the CASA VFR (Day) Syllabus in 2009, along with the publication by CASA of two resource kits—Human Factors for Pilots (currently being updated with the new edition being available in January 2019) and the Human Factors for Engineers with a focus on private operators, charter, flying training and engineers. Personality testing has been an integral part of industrial-organisational (I-O) and vocational psychology for over a century since the creation of the first formal personality inventory, the Woodworth Personal Data Sheet in 1917. The focus of personality testing changed dramatically in the 1940s and 1950s with the development of several personality inventories that changed the concept of personality testing. For instance, the Minnesota Multiphasic Personality Inventory (MMPI) was developed on psychiatric populations, while Raymond Cattell’s Sixteen Personality Factor (16PF) Questionnaire was developed through personality traits identified with factor analytic methodology. Finally, the Meyers-Briggs Type Indicator (MBTI) was developed in the 1940s based on Jungian typological theory and became quite popular as it was not focused on adjustment or maladjustment as the MMPI and 16PF. The essence of the theory is that much of the seemingly random variation in human behaviour is actually quite orderly and consistent. This is largely due to basic differences in the ways individuals prefer to use their perception and judgment. In developing the MBTI, the aim of Isabel Briggs Myers and her mother, Katharine Briggs, was to make the insights of type theory accessible to individuals and groups. They formulated sixteen distinct personality types which appreciate the differences between people’s preferences. While the Myers-Briggs is still used today, as expected it’s been surpassed by more sophisticated and detailed testing. More recently, a number of instruments based on the Five Factor Model of personality have been constructed, such as the Revised NEO Personality Inventory. The five factors (identified by Lewis Goldberg) are extroversion, agreeableness, conscientiousness, neuroticism and openness to experience. You can remember them with the acronyms OCEAN or CANOE. A discussion in current personality research is whether honesty/humility qualifies as a sixth factor. This six-factor model, which describes neuroticism as emotionality, is known as HEXACO. 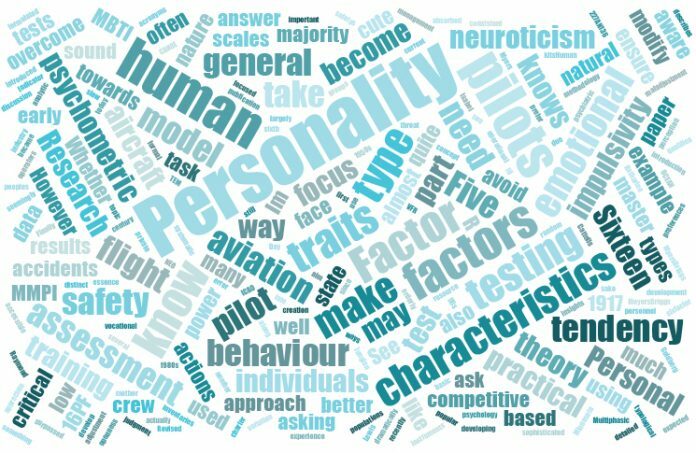 A recent paper released by cut-e, an assessment specialist, examines the specific abilities, competencies and personality required by pilots, using the Five Factor model as mentioned above. It explains assessment for these attributes using psychometric tests at an early stage of the recruitment process. How many of these traits apply to you personally? A good test is to answer the questions yourself, and then ask someone close to you to answer for you. Compare the results and focus on the traits you both chose. This will have the added bonus of demonstrating how self-aware you are! While employers tend to seek out these characteristics via psychometric testing, does a deficiency in the above traits make you a lesser pilot? Not necessarily. After having defined your personality type, cross-reference your characteristics with the list above. For instance, almost all the tests reflect that I am introverted (but only slightly), intuitive, emotional and perceptive. I am not over-endowed in logic, and I have a tendency towards impulsivity. Of the traits listed above, I clearly exhibit only seven (or eight, if you ask someone who knows me pretty well). Bearing this in mind, in terms of flight safety, it’s pertinent for me to be mindful of my shortfalls. For example, my impulsivity often leads to impatience, which can be reflected in my tendency to hurry my preflight inspection. In order to combat this, I have installed an app on my phone which contains an inbuilt checklist in which I must manually tick each item of the preflight. This allows me to ensure I take a practical and methodical approach to a task I would normally—subconsciously—rush. On the plus side, my natural tendency towards internal reflection fosters my mindfulness of my emotional state. This prompts me to take a break from flying when under emotional distress, instead of ‘powering on’ and trying (but possibly failing) to leave my problems on the ground. In contrast, I have a friend who is very methodical by nature. Adverse to change, he prefers to stick to what he knows. However, he enjoys embracing technology and is usually an early adopter of new model equipment. This may sound like a contradiction, but personality testing demonstrates how we have many varied and often overlapping characteristics, which make us unique. In my friend’s case, he has become aware of his steadfast and cautious nature and has learned to be more flexible by asking himself, ‘is there another way I could look at this situation, which may be more beneficial than my usual way of doing things?’ An overly dogmatic approach can be as detrimental to flight safety as an impulsive one. In discussing personality, an obvious question is: are we drawn to become pilots because of our personality types, or do we modify our behaviour to suit the task? But where does behaviour end and personality begin? 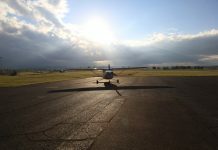 The characteristics that attracted me to aviation—my love of adventure, my competitive drive to master a skill and my determination to never to give up—were of benefit as I worked my way through my licences. However, the disciplines I’ve learned in my time as a pilot have slowly leaked into other areas of my life: I’m more patient, my spatial skills have improved enormously, and I rush less than I used to. Whether I have modified my personality or merely my behaviour is a question for psychologists and philosophers to argue about. When you become aware of your personality do you have the power to modify it? Importantly, it’s actions, or lack thereof, that kill you in aviation, not your personality type. I guess that’s why we have standard operating practices and checklists. But not even these can overcome our human dimensions: fatigue, impatience, complacency, panic, or over-confidence. As pilots, we operate increasingly complex machines in concert with other individuals from different professional and personal backgrounds requiring a nontechnical skill-set in addition to the technical proficiency. Being human, we carry limitations that may be overcome through identifying, understanding and knowing our flaws. This increased awareness will not only make us better pilots, but better people in general. Want to know if you’d pass a psychometric test for the airlines? Cattell, R. (1949). Manual for forms A and B: Sixteen Personality Factor Questionnaire. Woodworth, R. S. (1917). Personal data sheet. Chicago: C. H. Stoelting Company. Sadly all the airy fairy stuff that is HF, CRM and the other feel good crap means zip if the Airline management are the enemy which is the case 99% of the time. Fix the “them & is” mentality and overnight the feel good crap can be removed from the jelly that it truly is, just dreamed up stuff to try and fix the real issue in the Airlines! Could you explain more about your comment Andy? Potentially if there are issues concerning management in airlines that ultimately result in safety concerns these should be highlighted more often than not! Matt you obviously don’t live in the real world! Every Airline is a COMMERCIAL business, there to make money for their holders, nothing more, we don’t fly around boguns cause it’s fun! Commercialism and safety are like oil and water, both needed to run that business but definetly not compatible!